*Update: This article is now translated in Spanish too! The first time I ever sat down at a high-fidelity simulation computer and opened up the programming option I knew I had found a new passion. I also knew that there would be plenty of people out there dreading the thought of looking at the very same screen. Programming scenarios takes a lot of time for those of us without serious computer backgrounds. Running a Simulation Lab without scenarios is like trying to drive a car without gas, you might as well get out and push or just forget it altogether. Programming takes time and when launching a new simulation lab it might not be feasible to get educators locked into the time commitment necessary to design scenarios (let alone program them). Organized by KT Waxman and friends, the Bay Area Simulation Collaborative is the starting point to the California Institute for Nursing & Healthcare (CINHC) and the California Simulation Alliance (CSA). Both of those resources have scenarios available to users as well. 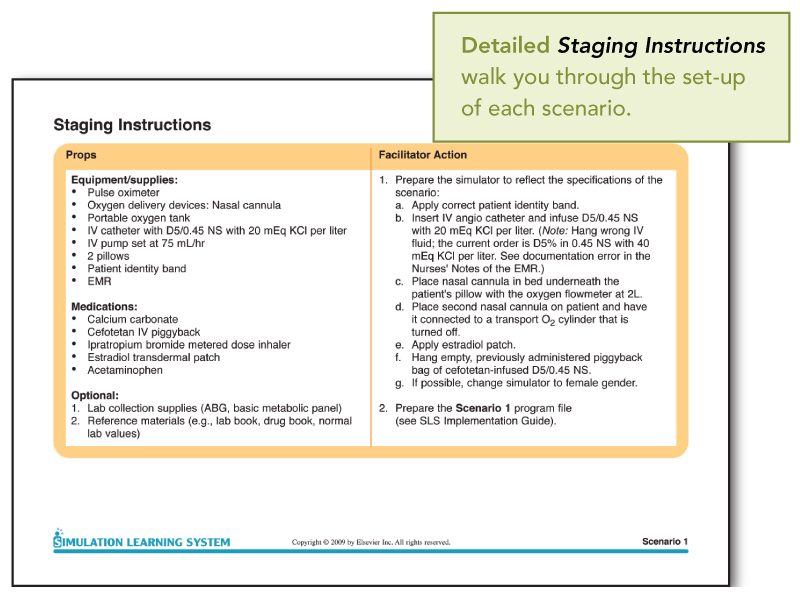 BASC offers some FREE scenarios for Med/Surg, Critical Care, Peds and Maternity/OB. I have heard from numerous folks that this is a great starting point for some high-level functioning simulation scenarios. The scenario packages available from Evolve line up with teaching objectives from several note-able educational texts. This works well in that your learners will be able to read about specific examples in their text and then have an opportunity to experience similar examples in your Simulation Labs. Of course, scenarios can act by themselves and do not have to line up with the text – but this is a great opportunity if your department is looking to align the curriculum. 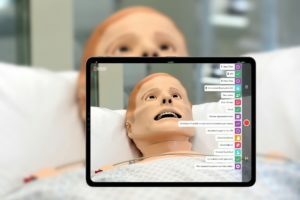 Evolve has had Med-Surg scenario packages based off different texts for quite some time now, and have recently added Maternity and Pediatric scenario packages to their growing arsenal. One important thing to note is that these scenarios are “on paper”. Meaning the package does NOT come with computer programming for your high fidelity simulation system (ie Gaumard, METI, or Laerdal). So someone in your department will still want to program these scenario packages into your computer systems, so that you can utilize the highest efficiency in your lab and your simulations. (See more about why this is crucial to a successful simulation program below). Most of the faculty from our two collaborative Nursing Schools utilize the scenario packages from Evolve. As an administrator I have been pleased to work with a system that can get those new to simulation up and running within a few hours without forcing educators to spend hours up front designing scenarios for their courses. 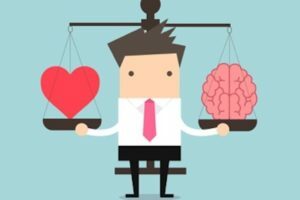 Of course I feel that uniquely programmed scenarios specific to each instructor’s course will have better results, but getting the “foot in the door” really helps launch a new simulation program. 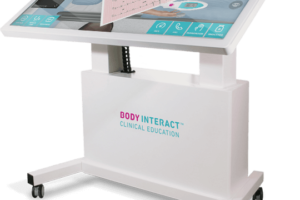 These scenarios also link up to an in-house online patient charting system, so if you can provide a laptop with internet connection in your Sim Lab the students can work out these important details during the lab. The downside to me with the SLS scenario packages from Evolve is that someone has to pay for access to these scenarios on a PER STUDENT basis. In other words, these scenarios are leased and not owned. That means I have to keep paying into the system like these scenarios were text books. While the Nursing students have access to these scenarios for the duration of their education, it would of course be best if I could pay a lump fee up front for access to this system and leave it at that. However, at this time and for the foreseeable future we have been quite pleased with this system. In the long run, other more permanent options will have to be explored. Both CAE Healthcare and Laerdal have simulation scenario packages that come programmed for their specific systems. Again, even though with these options you are purchasing a system-specific blue-print for a scenario, once you own the blue print you can program the algorithm into any of the other systems on your own time. (ie a Laerdal Simbaby PALS scenario can just as easily be used on a Gaumard Baby Hal, you just have to program the software or run it “on-the-fly” by yourself). The benefit to purchasing these packages is that unlike the Elsevier Evolve scenarios, when you buy these they are yours! This is important for any type of Sim Lab running multi-professional education across healthcare silos, that may need to run collaborative simulations. So with packages like the ones listed below, once your institution purchases them anyone in that institution can use them. Enjoying this HealthySimulation Post? Sign up for our FREE bimonthly newsletter with all the best from HealthySimulation.com!  *Edit: Also, check out my NEW post about SIMCENTER from Laerdal. There you have it…. but WAIT! Programming is Still Perfection! Now while you don’t HAVE to program “on paper” scenarios because you can run them on the fly based on the algorithm’s provided, learning how (or paying someone) to program not only saves a HUGE amount of time in the simulation control room, but allows the facilitator and the technician (if available) to be able to remain focused on the activities of the students. By knowing the algorithm with the chart and being able to quickly click “1, 2, 3, 2, 4” through the various stages of the scene means you will spend more time engaging with the students and less time resetting six different vital signs every time you want to move between stages. Thus, 10-15 minute scenarios become 20-25 minute scenarios because facilitator’s focus on the wrong things. Programming is worth every difficult minute as the over efficiency of your Simulation Program increases ten fold with each successfully programmed and permanent scenario. While buying bulk scenario packages can get you started, tweaking these scenarios to your specific curriculum still needs to be done by hand. In my view, a purchased scenario from a package gets you about 80% of the way there – as MOST of the leg work of preparation, algorithm, and debriefing notes have been produced for you. However, to get to the specific requirements of your program’s curriculum, taking these scenarios and tweaking them is absolutely necessary. 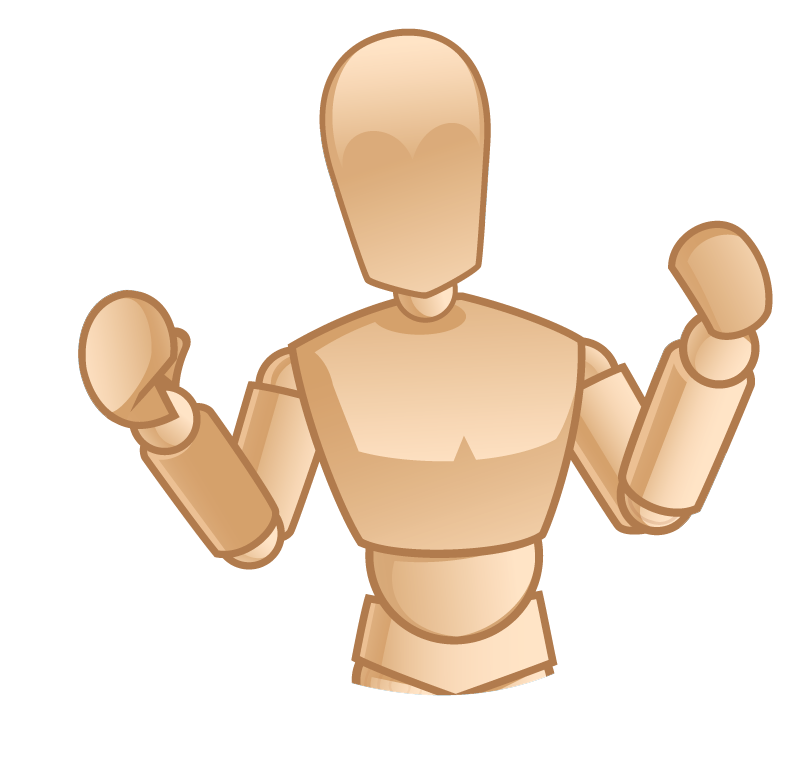 And like I said above, some of the packages are just “on paper scenarios”, meaning you still have to program them into your manikin system at the end of the day anyway. Would you be interested in programming support? Drop my a line at: [email protected] and let me know how I can help! 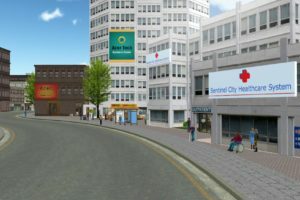 Read about my post about the FREE Society for Academic Emergency Medicine (SAEM) Sim Case Library. Please share your additional resources for simulation scenarios by posting a link in your reply below! Hi… that was great stuff.. I really like reading on this subject Could you tell me more on that… I love to explore. 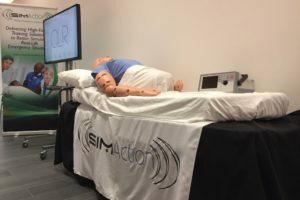 Although Laerdal, CAE and Gaumard certainly have a name for themselves in the patient simulation business, you’ve completely ignored Simulaids’ SMART STAT. 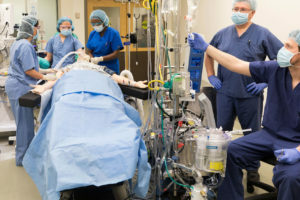 You’ll find the link above is another great resource for moderately priced scenarios that can be used with volunteer patients, standard manikins, standardized patients or high fidelity patient simulators. These scenarios also come with a programmed disc. The iPad controller for SMART STAT makes it very simple to import these scenarios for use during simulation exercises. Manual entry of the scenario information into any patient simulator makes them viable for everyone.